January was not such an easy month with Eclipse Season kicking off the year on a bit more of an intense note, but now the energy begins to smooth itself out as we get back to business as usual. Well, almost! With the Sun moving through ♒️ Aquarius for most of this month, we may be seeking to look at our plans & goals in a whole new, and potentially revolutionary, light. While Capricorn Season was about getting our ideas down on paper, Aquarius is about testing and tweaking those ideas as we apply them in the real world so we can see how these plans need to evolve and grow in a way that will work best for everyone involved. A New Moon in Aquarius on February 4th marks a whole new cycle for introducing fresh innovations within your life & career while seeking to benefit the community around you at large. In the middle of the month, action planet Mars will slide out of Aries and into Taurus. We started off this year with a faster pace that urged us to amp up the volume as we achieve our aims, but Mars in Taurus is more about slowing down and mindfully considering how you move through the process of building a sustainable future for yourself through your current goals with quality and care in mind – rather than speed and impulsivity. In other words, you’ll get more done this month by focusing on one step at a time, and doing your best to get the job done right. On February 19th, the Sun will transition out of Aquarius and into Pisces – the 12th and final sign of the zodiac – just as a Full Moon rises high above us in the sign of ♍️ Virgo. This will bring us a cosmic check-up to make sure we are supporting ourselves with healthy daily routines and rituals to keep ourselves from burning out or overextending ourselves in service to others. Get ready for your phone to blow up! For most of this month, the Sun is sliding through your Community & Friendship sector, giving you the go-ahead to get out there and connect with friends as well as those in your community who could most benefit from your work. This is a great time to survey your audience or simply pay extra attention to how you could meet the demands of those around you with their true needs & desires in mind. Not only will this make others appreciate you more, but it’s a good way to boost up your bucks, too. The New Moon in Aquarius on February 4th is wonderful for working on a new opt-in offer or launching a social media campaign that will allow you to expand your reach by providing a resource that will give your ideal audience a small win, hopefully leading them to realize they could sign up to work with you for an even bigger result. On February 14th, Valentine’s Day, your ruling planet Mars will make its way into your zone of Values, Desires & Self-worth for the next 6 weeks. Which experiments can you run to help you get clearer on what you really want to do next? Sometimes, instead of jumping all in to a new passion project, it can be helpful to dip a small toe in the water first to make sure you’re liking the feeling of what you’re doing before you invest too much too quickly. Towards the end of the month, a Full Moon will be illuminating your 6th house of Daily Work & Wellness, shining a light on how well your daily routines have been running to support you in setting your life & work up for a true feeling of success. If you have been ignoring your health, living in an unorganized mess, or juggling a chaotic calendar, this will be the time to realize how you can find new and improved ways of keeping everything in check so you can achieve more and, most importantly, feel good about the flow of your life along the way. It’s time to let those grand ambitions of yours see the light of day! As the Sun moves through your Career zone until February 19th, your mission is to find a way to make a bigger impact on those around you by harnessing your natural strengths and interests to your advantage. What have you been wanting to do that would take your work to the next level? This is not a time for playing small – it’s a time for going bigger and putting out work that will allow you to be seen & recognized for the amazing person you’ve always had the potential to be. The New Moon in Aquarius on the 4th will be calling you to set intentions on where you’d like to see your life’s work go in the next 6 months and start taking solid steps towards making it real. Then, mid-month, action planet Mars will be blasting into your sign, giving you a major boost of productivity-inducing energy for the next 6 weeks. All of a sudden, it can feel like your life has jolted into over-drive as you set forth on a quest to get things done and reach your current aims with increased gusto. If it gets to be too much, make sure to pace yourself with exercise breaks and meditation check-ins along the way to make sure you are heading in the right direction – and going about your work in the right way – rather than simply getting lost in the rush to get everything done. This month’s Full Moon will fall on February 19th in Virgo and your 5th house of Fun & Creativity. This could mark the culmination, and therefore celebration, of a creative project you’ve been working on for a long time, but it is also a call for you to look for ways you can have more FUN. Work is important, of course, but you will enjoy your life and work so much more if you are also taking time to do things for the sheer pleasure and joy they will bring you. Don’t be shy – use this Full Moon to plan a party, a trip, or a fun outing that will reattune you with your inner child again! Has the status quo been getting you down? With the Sun in your 9th house of Education, Exploration, and Self Discovery for much of February, your job for this month is to seek out new horizons that can add more magic and meaning to your daily grind. If there’s an esoteric subject you’ve been wanting to learn (or teach! ), a list of amazing books you’ve been meaning to read, or an incredible trip you’ve been thinking about booking, this is officially the time to GET ON IT! The New Moon in Aquarius on February 4th is your call to invite a greater feeling of expansion into your life & work by setting intentions to explore more of the world beyond your normal everyday comfort zone. On February 10th, messenger planet Mercury slides into Pisces and your Career zone, setting your mind ablaze with new ideas on how you can make a bigger and more meaningful impact through your work for the next few weeks. Remember to write your good ideas down and keep a notebook close by. You never know when a lightning bolt of inspiration will strike that will make a world of difference in your work – whether it’s in the shower, as you’re falling asleep at night, or even through accidentally overhearing a conversation while you’re typing away at your laptop at your favorite local cafe. On the 19th, the Full Moon will rise to maximum brightness in Virgo and your Home, Family & Long-term Security sector. Which issues have you been dealing with in your personal life that have been making you feel less than stellar? Whether we’re talking about a lack of satisfaction with where you live, what’s going on with your family, or where your savings account currently stands, this Full Moon will help you gain clarity on what you can do to bring forth positive solutions that can help you feel less insecure. This is also a time for celebration, so if you have already put a lot of work into these areas of your life, then you can reap the benefits of those actions now as well! As the Sun’s shimmering rays shine a spotlight on your zone of Business & Finance until February 19th, this is a month for getting crystal clear on where your financial situation currently stands so you can make an airtight plan to increase your bottom line and reach your bigger aims. If you run a business, take a look at all of the offerings and content you’ve already created to find ways to re-package them in a new – and more fiscally convenient – way. Otherwise, you may want to think about investing your moolah or finding other ways to make your buck go further. 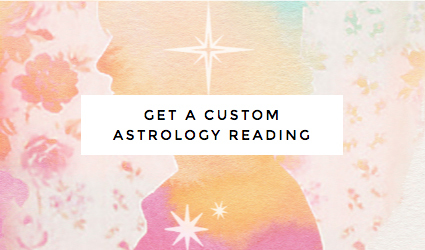 The New Moon in Aquarius on February 4th is the ideal time to set a big money goal and ask the Universe to help you download insights to make that dream real! On the 3rd, the planet of Love, Money & Beauty, Venus, moves into your opposite sign of Capricorn and your 7th house of Relationships where it will be urging you to create more harmony within your connections with those who are closest to you. Whether this means seeking ways to love on your clients, customers, or a significant other, make sure you are creating ways for the TLC you give to others to come back to you in equal measure as well. In other words, be prepared to ask for what you want or need to make it an even energetic exchange in return. As this month starts the process of fading out, a Full Moon in Virgo will ignite your Social Networking sector on February 19th. This can be a great time for gathering together with friends at one of your favorite local haunts as you celebrate the amazing connections you’ve been making over the past 6 months. At the same time, you may come to find that some people within your circle – whether friends or clients – are not the type you really want to have around you to encourage you to be your best self, bringing forth a time for reassessment and/or release. Re-think your messaging online and how you are expressing your mind in person in order to draw more of those towards you who will ultimately enhance your life and stimulate your mind. On the heels of a Full Moon Lunar Eclipse in your sign in January, the Sun now continues gliding through your Relationship Zone for most of this month, calling you to look at the ways you relate to those around you so you can reset the balance of give & take now that you have stepped up to a higher level of owning your personal power. This goes for strengthening and/or gaining greater clarity around a romantic relationship OR working 1-on-1 with others in general – as a coach, healer, or perhaps as the one being helped or healed. As strong and capable as you are to handle your life & work on your own, gaining a helping hand from others does not have to be a bad thing… and it definitely doesn’t mean you’re weak. Be clear about what you really want or need to feel more harmonious – and about how much support you are willing to offer in return! The New Moon in Aquarius on February 4th is an amazing time to set your intentions out into the universe to call in the type of relationships and supportive alliances your heart & soul are craving deep down. On February 14th, action planet Mars will make its way out of your fellow fire sign of Aries into your fellow fixed sign of Taurus and your 10th house of Career & Higher Calling. It may suddenly feel like the right time to bring any big picture career ideas you’ve had rumbling around in your brain out into the world as you get an extra boost from the universe to get going and make things happen! For the next 6 weeks, you may be more inclined to become more vocal about putting yourself out there as you channel your passionate excitement into projects that will allow you to go on to make an even bigger impact on others. Five days later, the Full Moon in Virgo will land in your sector of Values, Desires & Goal Setting. This can bring a major payday your way if you’d laid the right foundation over the past 6 months, but at its core, the energy of this Full Moon is about opening yourself to receive blessings of all kinds by believing in your worthiness to have everything you want in the first place. Are there parts of you that still don’t believe you can’t manifest anything you want and more? If so, this Full Moon’s energy will signal an important time to give your limiting beliefs and past patterns of self-doubt or inferiority the boot. For most of this month, the Sun will be cruising through your Daily Work & Wellness zone, a Virgo’s sweet spot since it means you’ll be able to clear out the clutter in your life, work, and your brain in general. This is a time for streamlining your daily flow – from optimizing your morning routine to organizing your home life, cleaning out your car, and fine-tuning the processes you go through over and over in your work to make everything run much more smoothly. After last month’s burst of creative inspiration, you may have quite a few details to sort through so you don’t feel quite so stressed and on the verge of burnout. A New Moon in Aquarius on February 4th is the ideal time to set intentions on how you would like to take better care of yourself and set your life & work up in a way that is even more supportive in the future. Venus will be making its way into your Fun & Creativity sector early in the month, helping you find creative solutions when it comes to earning more money. Soon after that, Mars moves into your zone of Education, Exploration & Self-Discovery, sparking your inspiration levels to branch out and explore new subjects and ideas that can widen your perspective and bring your magic into your life & work. If you always do what you’ve always done, you’ll always get what you’ve always gotten… so don’t be afraid to move beyond your comfort zone to discover new ways of looking at the world whether that means taking a class, reading a book from a new section of the library, or even putting together a hands-on workshop of your own. By February 19th, the moon will be fully illuminated in your sign. This is an immensely powerful Full Moon for you to step into your personal power and embrace your authenticity while editing out the people, ideas, limiting beliefs, or situations that are NOT allowing you to shine brightly as your true self and do the things that you really want to do – even if it doesn’t seem convenient or easy. At the same time, you can look back to the New Moon in Virgo last September 9, 2018, and appreciate how much you’ve accomplished while celebrating how far you’ve come since then. Get ready to have some fun! The Sun is frolicking through your 5th house of Fun & Creativity for most of this month, getting you fired up and inspired to get going on a new creative project or simply spend more time out of your office and in the world enjoying yourself and doing things just for their enjoyability factor. If you have been tossing around many new ideas in your pretty little head for a while now, this is an amazing time to bring them out into the world and express them in a tangible, feel-good way. The New Moon in Aquarius on February 4th will be calling you to set powerful intentions around what you’d like to bring into being next as the universe swoops in to support you in a major way so you can make it happen! Early in the month, your ruling planet Venus makes its way into your Home & Family sector, bringing along a deeper urge to create a sacred sanctuary where you can fully relax and feel free to express your best & brightest self. This may mean making decorating, renovating, or moving decisions, creating a beautiful and inspiring altar space, or simply seeking to bring your family together in more meaningful ways to celebrate the comfort and security that already surrounds you. Towards the last week of this month, a Full Moon in Virgo will illuminate the deep dark spaces within your psyche as it rises high above your zone of Spirituality & Mystical Pursuits on the 19th. This is an important time for shadow work as you let go of any limiting beliefs and fears you are still subconsciously allowing to hold you back from aligning your life with a greater, more meaningful purpose that feels deeply in sync with your soul’s cravings and desires. Because of the potency of this time, you may wish to opt out of the party scene and choose to spend time alone to go within to squeeze maximum divine downloads out of this momentous Full Moon as you light candles, journal, and take a mindful bath while you imagine any heavy vibes you’re holding on to flowing out of your auric field and down the drain. It’s time to get grounded as the Sun moves through your Home, Family & Long-term Security sector for most of this month! What can you do to spruce up your space so it feels more sacred? Whether this means planning a big move or doing small things like buying a cute new comforter or adding a few plants to bring an element of nature into your lair – or reaching out to plan a family dinner that will bring you closer with the ones you care about most – this is a good time to focus more of your attention on enriching your personal life so you will feel more supported in taking your work further in the future. The New Moon in Aquarius on February 4th is an amazing time to set potent intentions on how you would most like to improve your home & family life in the future. Mid-month, action planet Mars moves into position in your Relationship Zone where it will be granting you extra drive & motivation to seek help from others for the next 6 weeks. Whether this means going for greater depths in a romantic relationship, forging deeper connections with clients or customers, or reaching out to a healer or therapist type figure for support, you may finally be less inclined to go it alone and more ready to receive a helping hand that will allow your life & work to feel increasingly more harmonious. On February 19th, a Full Moon in Virgo will slide through your 11th house of Community & Friendship, bringing about the culmination period to help you embrace and celebrate the connections you’ve been making with others around you as you work to make the world a better place in your own special way over the past 6 months. At the same time, you may bring more of your attention to the friendships or ways of helping others that no longer feel aligned with how you would most like to be of service. As a Scorpio, you always want to feel like you are growing and evolving, but if others around you are keeping you from that journey (even if at one point these situations, projects, or connections did feel quite in tune), it may be time to re-assess how you’re reaching out to your tribe or start to give a voice to a new movement that is stirring within you. Get ready to mix and mingle! 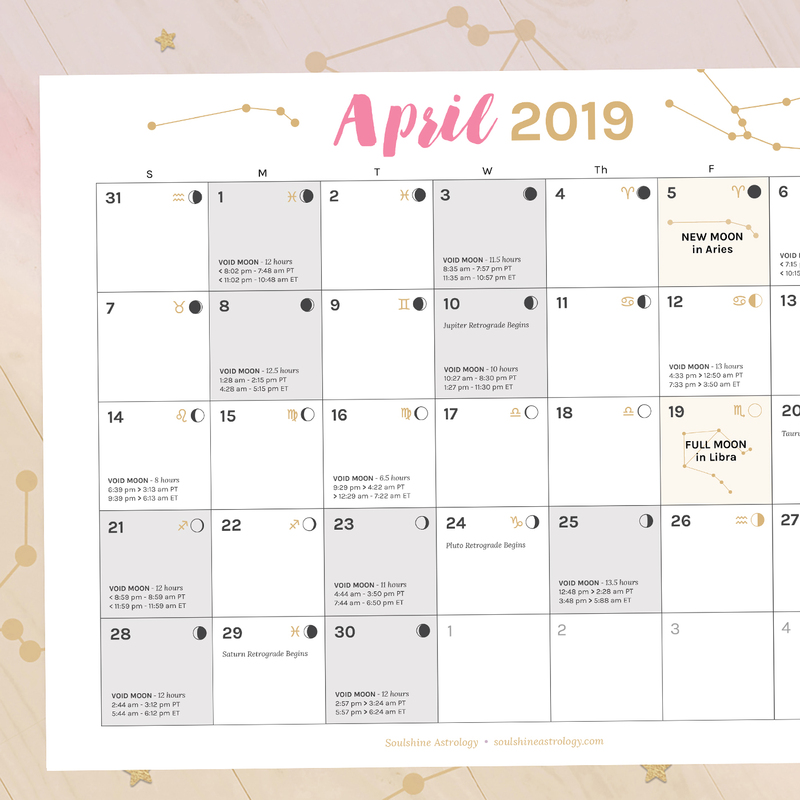 As the Sun moves through your Social Networking sector for most of this month, you may be feeling extra inspired to connect with others and find exciting new ways to collaborate. The green light is on from the Universe to say “Yes” to more social invitations as you never know who you could meet or how they could help you reach your goals faster than you could simply by flying solo. The New Moon in Aquarius on February 4th is an amazing time to think about how you could finetune your elevator pitch, revise your social media posting strategy, and elevate your e-mail opt-in as you set powerful intentions for the type of kindred connections you’d like to make over the next 6 months. On the 10th, messenger planet Mercury zips into Pisces and your 4th house of Home, Family & Long-term Security as your thoughts begin to center more around the current state of your personal life and how you can become more grounded and settled in the future. Perhaps this means you’re ready to plan a big move, research a renovation project, or spend more time with your family – or the people you care about most – chatting and conversing as you offer each other support. This month’s Full Moon in Virgo will be lighting up your Career Zone on the 19th, bringing about the culmination of the major moves you’ve been making in your career since September 9, 2018. This is an amazing time for new work opportunities to head your way as you also sort through the elements of your career you’re ready to shift away from. Are there aspects of your work you’ve outgrown or that are no longer making you feel as excited as you once did? Celebrate your wins while assessing your future direction to make sure you are moving towards milestones that still feel meaningful. The beginning of this year has been a lot about getting clear on where you’re heading in the future and why. While you may have nailed down a lot of details around how you’d like to step things up to the next level this year, the exploration process will still be continuing into this month as the Sun moves through your zone of Values, Desires & Goal Setting until February 19th. What do you really want deep down if you could have anything you wanted? I mean anything. Whether it’s a certain amount of money you want or a feeling, a way of life, or something material you’re seeking, the New Moon in Aquarius on the 4th will be your call to send your biggest, brightest wishes out into the universe as you begin to cultivate the confidence and sense of self-worth to get going on a plan to turn these dreams into a tangible reality over the next 6 months. Meanwhile, the planet of love, money, and, beauty, Venus, blesses your sign on the 3rd. This will also bring a rare opportunity to magnetize more of the things you want in your direction! Until March 1st, you may find it to be easier than normal to bring in sales or draw in admiration from others as the collective consciousness as a whole will be more attracted to your energy than usual. It can also be a wonderful time to re-brand your business or update your own look so you’ll look and feel your best inside and out. On February 19th, a Full Moon in fellow Earth sign Virgo will be lighting up your 9th house of Education, Exploration & Self-Discovery. This can be an amazing time for completing an area of study, going on a mind & horizon expanding trip or even preparing to teach on a subject from your own vast repertoire of expertise. Since Full Moons are a time of culmination as well as release, you may also want to consider which subjects you feel you have now mastered that no longer feel as meaningful or fulfilling for you to continue to pursue so you can make a plan to step away and make room in your brain for something exciting & new. << Back to Top // Sign up to get your monthly career scope sent sraight to your inbox! It’s time for you to rise up to new heights, Aquarius! As the Sun moves through your sign for most of this month, you are being invited to look at yourself under a new light so you can take things up a notch by upgrading your life. Over the past year, you have been growing and evolving in so many ways, but is this being reflected in the way you’re currently portraying yourself to others? In other words, have you really been showing up as the real you? The New Moon in your sign on February 4th is one of the luckiest times of the year to envision yourself as your best & brightest self as you set potent intentions to look, act, behave, and become more like this updated version over the next 6 months. On February 10th, messenger planet Mercury will float through your Spirituality sector for an extra long length of time until April 16th due to its upcoming retrograde period in March. During this time, you may once again be revisiting the deeper questions of the universe – and your greater purpose in life. Taking time to retreat and get back into a daily journaling practice can help you gain clarity around where you’re really going and why so you can align your to-do list with a bigger meaning that feels magical rather than basic, boring, or mundane. 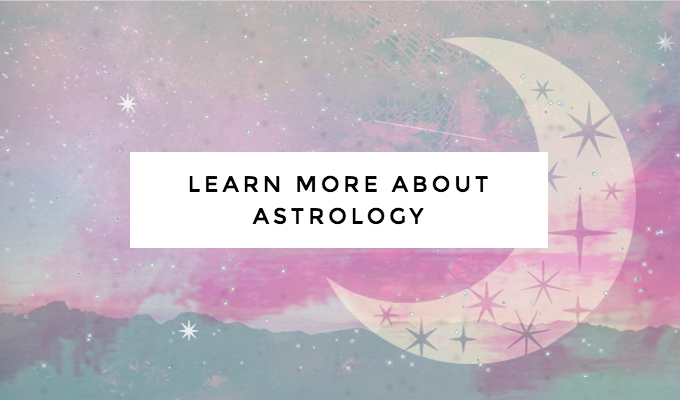 As the end of the month begins coming into view, a Full Moon in Virgo will rise above your zone of Business & Finance, bringing the culmination of financial strategies you’ve been focusing on over the past 6 months. This is an important time to look back over your spending and earning plan as you re-evaluate what’s working and what is not. If there are elements of your work that are not bringing in the profit you had initially predicted, you may want to consider stepping away or simply making a pivotal shift. Are your spidey senses tingling yet? This is one of the most potent psychic times of the year for you as the Sun moves through Aquarius and your zone of Spirituality & Mystical Pursuits for most of this month. If you’re feeling a bit out of sorts in your day-to-day reality, try taking some time off or simply scheduling more “me time” to tune in through a daily ritual of lighting a candle or stick of palo santo, journaling and pulling an oracle card to help you get to the bottom of any lingering fears or worries that suddenly seem to be floating up to the surface of your psyche. The New Moon in Aquarius on February 4th is an especially magical time for setting powerful intentions on how you would like to become more in tune with the subtleties of the spiritual realm in order to align your actions with a magnificent purpose that feels even greater than you. Meanwhile, messenger planet Mercury will be swooping into your sign on February 10th where it will be until April 16th due to an upcoming retrograde (also in your sign) in early March. As your mind flies to consider ways you can revolutionize the way you are showing up, talking about your work, and/or portraying yourself in the world, be aware that these plans and ideas may still be shifting and changing for a while. In other words, don’t expect to have everything figured out immediately! You are about to be going through a pivotal process of identity renewal and it may be hard to understand where it’s all leading for a while still. Later this month, a Full Moon will be falling in your opposite sign of Virgo and your Relationship Zone on February 19th. While this may provide cause for celebrating the close connections that have strengthened over the past 6 months, you may also want to take some time to reassess the balance of give & take between you and a partner, employee(s), or your clients or customers and see where improvements could still be made to feel even more harmonious within these energetic exchanges.